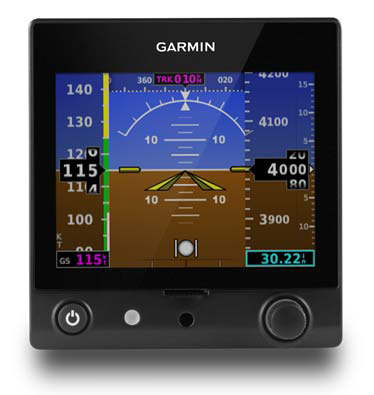 Garmin is pleased to announce the FAA approval of the G5 electronic flight instrument in type certificated fixed-wing general aviation aircraft. Installation approval is accomplished via supplemental type certificate (STC) with a comprehensive approved model list (AML) containing 562 aircraft models. The compact and cost-effective G5 delivers exceptional performance and reliability as a standalone primary source for aircraft attitude or turn coordination information while also displaying secondary information such as airspeed, altitude and more. Availability of this STC is representative of the Federal Aviation Administration’s (FAA) initiative to encourage and permit specific enhancements to aircraft in an effort to improve pilot situational awareness among the existing general aviation fleet. 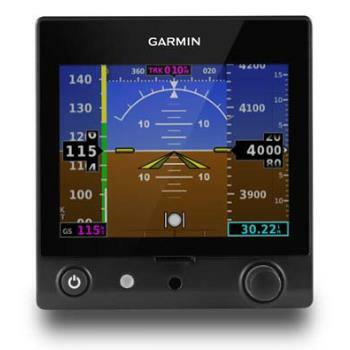 Boasting a bright, 3.5-inch sunlight-readable liquid crystal display (LCD), the G5 is approved as a primary source for aircraft attitude or turn coordination information and secondary source for altitude, airspeed and vertical speed in a single instrument. 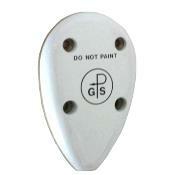 Installation is simple and easy as the G5 integrates with the aircraft’s existing pitot/static system to display attitude, airspeed, altitude, vertical speed, slip/skid, turn rate, configurable V-speed references, barometric setting and selected altitude as well as visual alerts upon arriving at the pre-selected altitude. 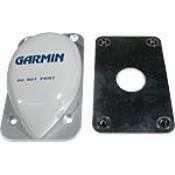 GPS-based track and groundspeed information is also displayed. 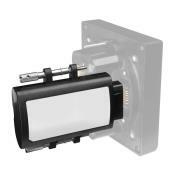 A dedicated rotary knob also allows for easy adjustments to barometric pressure setting as well as altitude and ground track bugs. 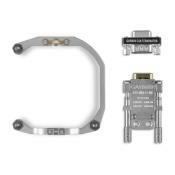 Suitable for installation in place of a standard 3-1/8-inch (79.4 mm.) 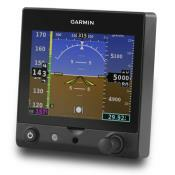 flight instrument, G5 measures 3-inches in depth and includes a back-up battery so it easily integrates into a wide range of aircraft. Installation is further simplified as the G5 needs only power, ground, pitot/static inputs and a GPS input from an approved navigator. The STC also includes interface approval to many common GPS antennas if an approved GPS output is not available in the aircraft. As part of the STC, the G5 for certificated aircraft includes a back-up battery with up to a four-hour power reserve. 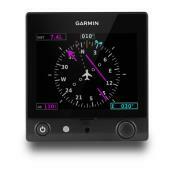 Pilots can easily reference battery status in the upper left-hand corner of the display. An STC permission letter will be granted for each aircraft in which the G5 for certificated aircraft is installed. To retrieve this STC letter, dealers will need to redeem the single-use registration code included in the standard kit by following the steps outlined on an information card. More information will be provided prior to orders starting to ship.